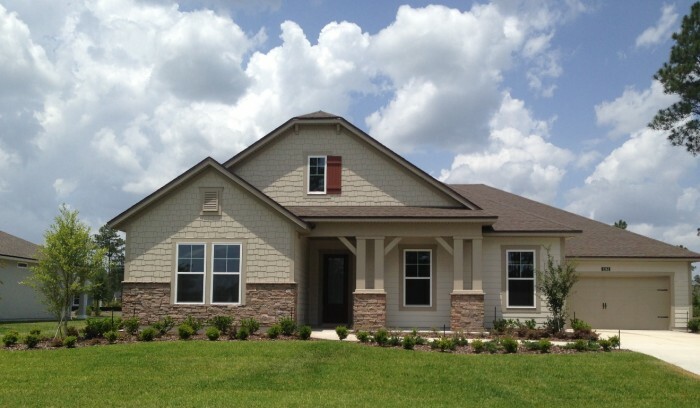 The Providence Homes Team is putting the finishing touches on our newest Quick Move-In Home at Two Creeks – The Monroe. This award winning 100% ENERGY STAR® Certified Home offers 3464sqft, 4 bedrooms, 3 baths, Formal Dining, Kitchen-Café, Butler’s Pantry, Study, Family Room, 3-Car Garage, Mud Room, and Covered Patio on a lakefront home site and is ready for immediate delivery. Interior appointments include Ceramic Tile Flooring in Foyer, Family Room, Kitchen-Café, Mud Room, Hallways and all bathrooms. Crown molding is included in the main living areas with decorative molding in the tray ceilings at the Foyer, Family and Dining Room, plus all interior doors are 8’. The gourmet Kitchen features Quartz Countertops in the Kitchen and Butler’s Pantry with granite countertops at the gorgeous oversized island. Additional appointments offered are 42” cabinets with crown molding, stainless steel appliances, under cabinet lighting, Beverage Center at the Butler’s Pantry and more. Located at 1262 Limpkin Lane, Middleburg, FL. This move in ready move is located in the exclusive private gated community section within Two Creeks on an 80’ wide home site. Only minutes from away from shopping, entertainment and dining in neighboring Orange Park and Jacksonville the Monroe Model at Two Creeks is a must see. For additional information contact Melissa Matthews at 904-337-5236.